HOUSTON – Marquis Curry and Manny Cabral led Texas Southern in the team’s most explosive offensive showing of the season. 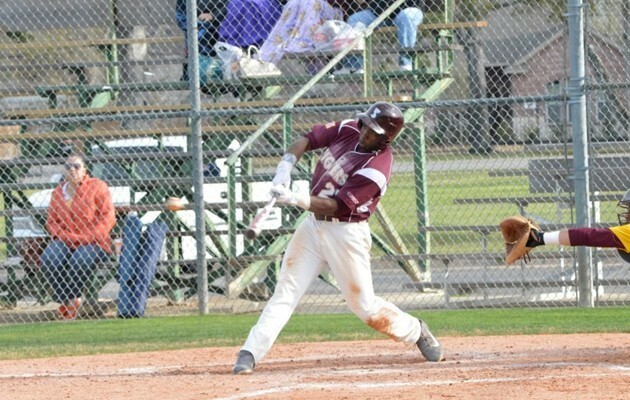 Curry had four hits and 7 RBIs while Cabral recorded 4 RBIs in TSU 20-4 routing of Huston-Tillotson at MacGregor park. The Tigers’ big innings came in the 4th and 8th. TSU hit for the cycle in the 4th inning when they picked up six runs. Andrew Garza and Adrian Lopez singled, while De’Mario Thibodeaux and Sebastian Stargell, Jr each had doubles. Chris DeLeon hit a triple and Curry hit a home run. When the inning ended, TSU was up 11-1. The Tigers scored three runs in the 5th and six runs in the 8th. Caleb Parisher drove in the first run with a single to left field. Cabral gave the Tigers two more scores when you doubled to right center field. Ellis Stephney doubled to left center field for an RBI. Curry ended the scoring blitz with a two run single up the middle. Jacob Martinez picked up his second win of the season. He pitched 5 innings with one earned run and two walks. Jamell Blue and Larry Romero each had two strikeouts in relief. Texas Southern heads to Austin on Wednesday to face Huston-Tillotson in the second game of the series.